It is an age-old trick to tame those pesky breakouts right before applying makeup. It not only decreases the redness of the pimples but also reduces them in size instantly so that they become less prominent. All you need to do is dip a soft clean washcloth in chilled water, squeeze the excess water out, and place it on the affected part of the face. Let it sit for 10-15 minutes. Once you remove it, your zits will become less visible. Holding an ice cube onto your breakouts will also give you the same results. A color correcting concealer, also known as a color corrector, is one of those makeup products that makeup pros swear by when it comes to making a zit disappear. Correctors are basically colored concealers that can counterbalance a specific color on our face, which is pretty much different from our original skin tone. Breakouts are mostly reddish in color, which can be reduced as well as neutralized with a green color correcting concealer. Once the redness fades away considerably, apply your favorite concealer in a suitable shade and dab a little foundation on it. Voila! As the post is about hiding breakouts with makeup, it is quite obvious that we are talking only about a full-coverage foundation. But instead of choosing a shade like red or pink, go for a product that is slightly yellowish in color. 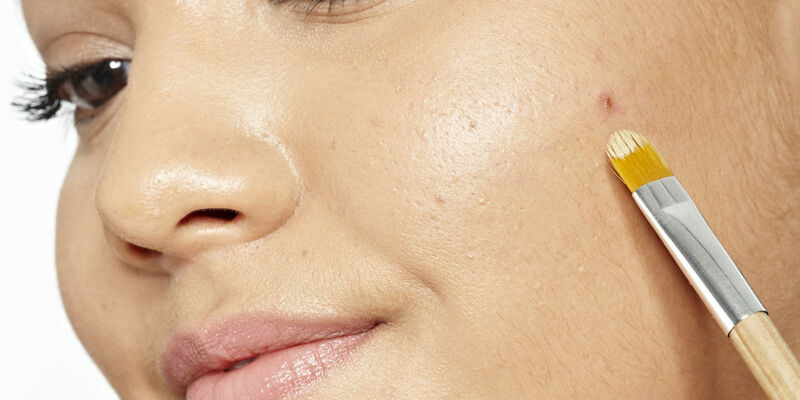 According to experts, a person with a pinkish skin tone should apply only a yellow-toned full-coverage foundation to camouflage zits and pimples as this will reduce the redness dramatically. Make sure that apply it in thin patches and then, seal it with a layer of your regular foundation. Clean and wash your face with a mild cleanser (an herbal one is preferred) and lukewarm water. Pat it dry and apply a water-based moisturizer (it should be irritant-free) thoroughly. If you need to go out, apply a good sunscreen (with no harmful chemicals) at this stage. Clean and wash your hands properly. If you are going to use a makeup sponge or brush, clean them as well in order to get rid of germs. 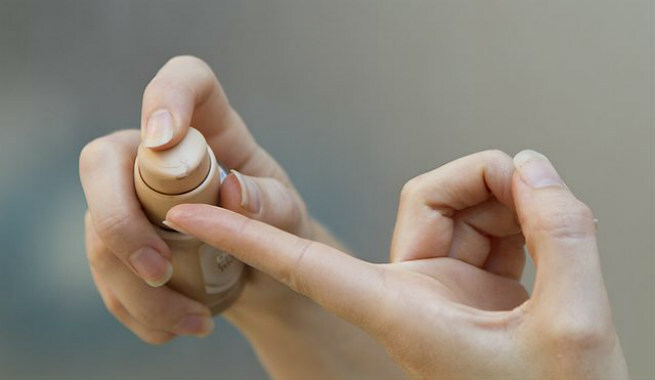 Once your moisturizer is completely set, take a little primer on your finger or a makeup sponge and dab it onto the problem parts of the skin. It will make your next steps easier and ensure that your makeup stays in place. Allow your primer to set and then, apply a suitable green concealer over it. You can apply it in ‘X’ shape and tap gently with your finger or the makeup sponge. 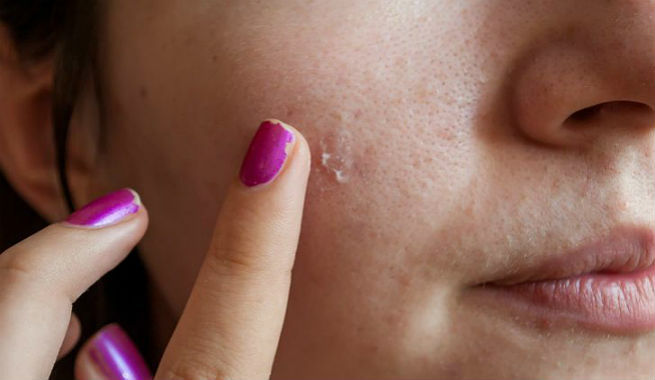 Make sure that you do not rub the concealer on your breakouts at any cost. Wait for 5 to 6 seconds and then, apply your favorite foundation in a suitable shade. Start with a little amount and add more layers if needed. Set the makeup by applying a setting powder in small circular motion. 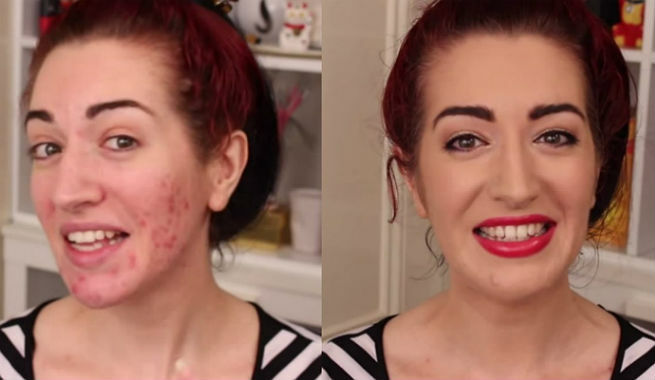 Your acne and pimples are totally hidden now! Choose oil-free makeup products that are made based on water. Always opt for non-comedogenic cosmetics so that your pores are not clogged after application. Using mineral-based makeup helps soaking up extra oil and sebum without irritating the skin further, thereby reducing the redness to a great extent. Using a good lightweight primer is necessary as it keeps the concealer in place for a longer period of time. Pick a powder foundation instead of a liquid foundation to prevent pore-clogging. 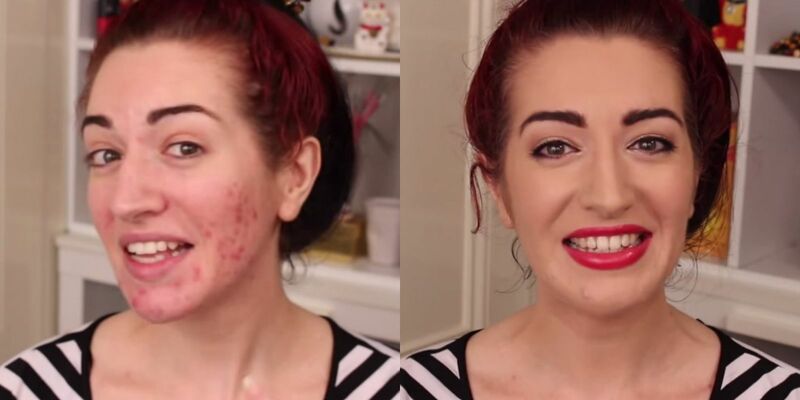 It is recommended that you use only matte foundation for hiding breakouts as it makes the problem spots less visible. In summary, covering up those unsightly breakouts is literally possible and it is a pretty simple task. Don’t you think so?